In Office Girls idol drama, which its Chinese name is Xiao Zi Nu Hai Xiang Qian Chong, Sheng Xing Ren (played by Ke Jia Yan) tries all her best to save money in order to buy a home for mother, and Qin Zi Qi (played by Chiu Tse) even brought her to visit show house. Realty industry spotted the opportunity, and rushed to take advantage of “xiaozi” trend to launch “luxury home with area most loved by xiao girl,” allowing the xiaozi girl in real world to have a chance to build their own dream house. Note: Xiaozi is a cultural Chinese terms which means petite bourgeoisie, which refers to lower middle social classes, including working class, shopkeepers and government employees, who also chasing modern taste, living standards, and arts as lifestyle. The first pot of gold is the prologue of the drama, and many financial advisers have also made used of xiaozi slogan, allowing the stiff concept easier to accept by viewers. 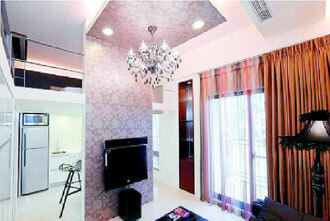 The introduction of 12 tsubo (39.672 sqm or 426.96 sqf) small luxury home by the real estate industry. Although small but fully equipped, and coupled with a simple yet dreaminess decor style, and the industry is targeting “pink-collar upstart” and has succeeded in attracting many women customers to view the house. In addition, the department store owners also rushed to catch up with the “petty bourgeoisie” trend, and introduces everything from skin care products, cosmetics, fashion designs and others which targeted at young and mature office ladies. Hotel industry also targets the same group with exclusive discount program for ladies. 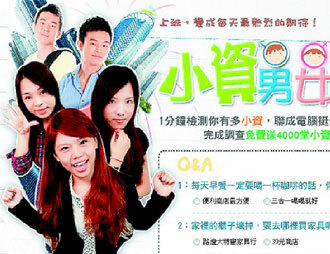 There is also a recruit student advertisement of a computer company that was modeled on the main poster of the Office Girls drama series, designed a series of “How xiaozi are you?” interesting topics, preparing to introduce “xiaozi online course” to attract female students. The effect of “Office Girls” has even made teachers went crazy about it, who went as far as putting the main characters of the drama into examination paper. “Because of work, Qin Zi Qi is closer, and hence successfully win the heart of Sheng Xin Ren.” The student snapped the photo of the examination paper and put on the official Facebook for the drama, triggering lively discussion by the netizens, who praised “the teacher is very fashion.” Also added, “Like this I more want to study!” There is also netizen who shared another question in exam which was related to incident of Sheng Xing Ren broke the red wine in the drama. The creativity of teachers transformed the examination which feared by everyone to interesting, won the appreciation of students.